The Skelwith Bridge Hotel boasts 28 well appointed en suite bedrooms offering guests the option of single, double, twin or king-sized accomodation. Our classic rooms offer guests great comfort at a very affordable price or why not push the boat out and upgrade to one of our larger Superior rooms. Our Superior Plus Rooms offer guests the most space and comfort during their stay. 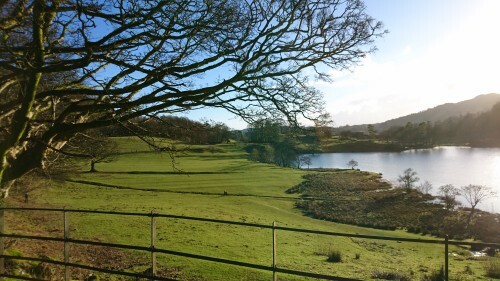 For short or longer stays the hotel is the ideal base for exploring The Lake District and all this wonderful corner of the country has to offer. We are pleased to offer single, twin, double and Super king sized rooms available for bed and breakfast or dinner bed and breakfast at fantastically affordable prices all year round. We welcome a whole host of families with children young and old, couples, singles and four legged friends too! All of our rooms are en-suite and designed with comfort and relaxation in mind with the following features as standard:- flat screen TV with radio, refreshment tray with tea, coffee, hot chocolate, complimentary Out of Eden cosmetic products, heated towel rails, direct dial telephone, hairdryer, stationary and iron & ironing board available on request. Complimentary wi-fi is available throughout the entire hotel, Talbot Bar and lodge. Secure cycle storage is available at the hotel as well as ample on site parking, at no extra cost. Many of our rooms boast wonderful views across our gardens and onto the fells beyond. For those in need of extra relaxation we also offer several larger Superior rooms, (and 2 Superior Plus Rooms,) which boast Super King size or twin beds, large flat screen TV, Bush I-pod dock, mineral water as well as all of the features detailed above. Our Grasmere room is designed especially for disabled access and boasts Super king or twin beds, large flat screen TV, light seating area, private ground floor access from the hotel gardens, large en-suite with wet room style shower and conventional bath as well as all of the features and facilities detailed above.